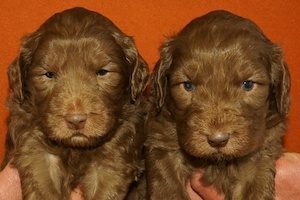 Paul & Liz Bartlett, Tasmanian Labradoodles , 13121 Midland Highway Epping Forest, P.O. Box 35, Perth, Tasmania, 7300,Australia. Enquiries regarding available puppies and wait times via Email ONLY. ©2000-2017 Tasmanian Labradoodles.All Rights Reserved.